Real Madrid have officially launched plans for the redevelopment of the Santiago Bernabeu stadium at a presentation attended by Madrid mayor Manuela Carmena on April 2. The revamped stadium will spread over 66,000 squaremeters and feature leisure and entertainment facilities. The venue will have a retractable roof as well as a 360-degree ‘halo’ videoboard. It will also have a surrounding skin of steel bands to allow images to be projected on to the exterior surface of the stadium. The stadium will become a “great technological platform” serving to engage with fans and starring in a digital transformation, club president Florentino Pérez said at a press conference to announce the plans. “This event is the definitive start of the countdown to launch an authentic architectural innovation in our stadium. 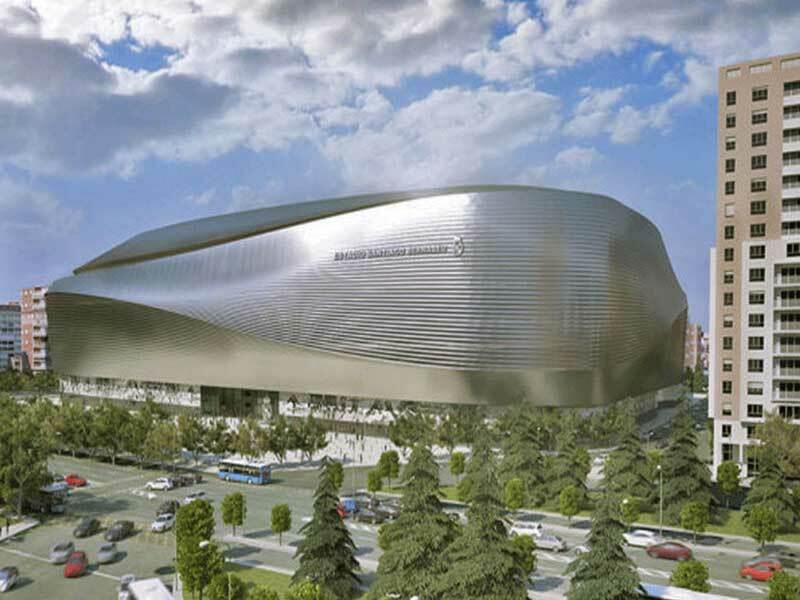 A Santiago Bernabéu stadium that will become a great avant-garde and universal icon. 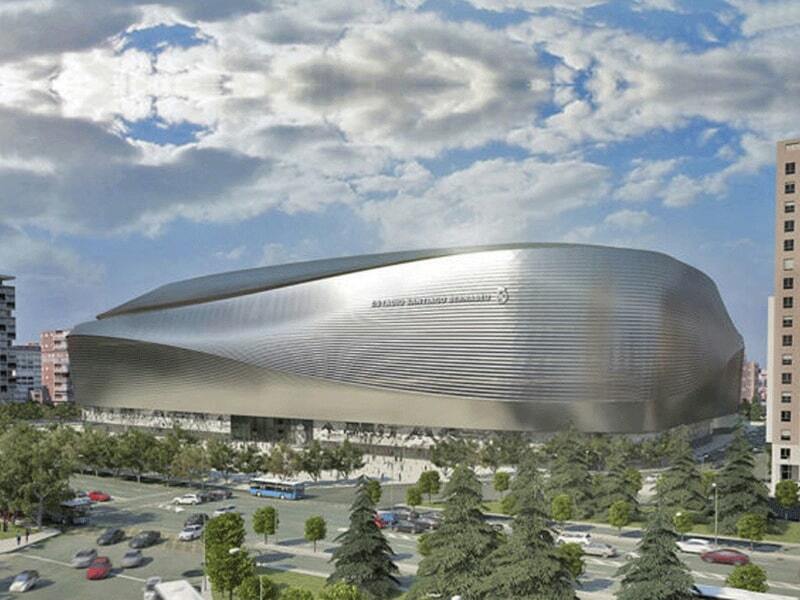 Located in the heart of Madrid, it will be the best stadium in the world. We are facing one of the great projects of the future for Real Madrid and, of course, it will be also for the city of Madrid,” he said. “The new stadium will present an immersive and avant-garde image thanks to a skin of steel bands and variable lines that will allow to illuminate and project images. A project that includes a fixed and retractable roof over the playing field and that will allow all locations to be protected,” Pérez added. “Our future naturally involves a new Santiago Bernabéu stadium, a reference of the 21st century. A modern, avant-garde stadium, with maximum comfort and safety, with state-of-the-art technology, where fans can experience unique sensations and also be a new and important source of income for the club,” he added. There have been previous false dawns for the renovation, but El Pais noted a day ahead of the announcement that there are ‘no fears this is not the definitive start’. The most striking part of the future Bernabeu, which is scheduled for completion in 2022 but could actually take four or even five years, is the retractable roof.